This cabinet of pre-embargo Punch Coronas was the highest-selling lot in a recent online auction. A cabinet filled with 500 Punch Coronas was the most expensive item sold during an online auction of vintage Cuban cigars held last week. The cigars, which were produced in Cuba during the 1950s, were auctioned off by London-based cigar retailer C.Gars Ltd for £33,000, or $43,385 U.S. dollars. The online auction ran from September 9 though September 16 and featured more than 300 lots of rare and aged Cuban cigars. The auction items included cigars from discontinued Cuban brands like Davidoff and Dunhill, a host of limited-edition humidors, as well as Regional Edition and Edición Limitada cigars. According to C.Gars Ltd, the cabinet of Punch Coronas was manufactured sometime during the 1950s, which means they are designated as pre-embargo Cuban cigars. The same cabinet had already been auctioned off by C.Gars Ltd. in June 2017, where it was sold for £40,500 (or $51,564 at the time). Although the cigars sold for less this time around, it was still the highest-selling lot in the auction. A limited-edition Cohiba Majestuosos Humidor was sold for £8,550 or $11,246. The Punch cabinet was one of 30 lots containing pre-embargo cigars at this auction, including a cabinet of 100 Ramon Allones Corona Miniaturas (sold for £4,650 or $6.118) and a 50-count box of Romeo y Julieta Julietas (sold for £3,350 or $4,408). 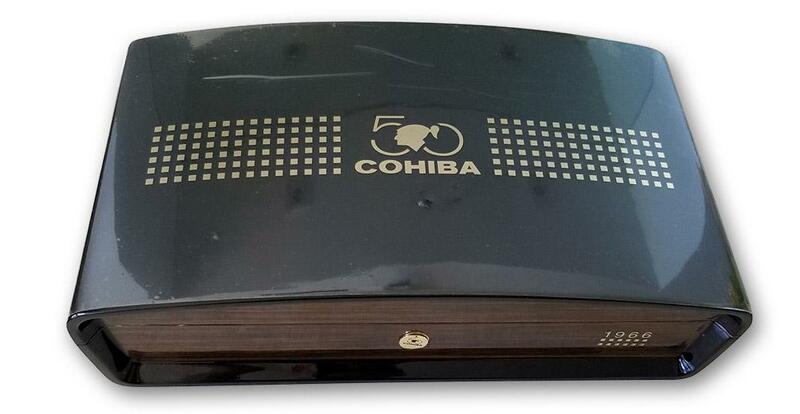 The second most-expensive lot was a Cohiba Majestuosos Humidor, a limited-edition item that was introduced at the 2016 Habanos Festival for Cohiba’s 50th anniversary. 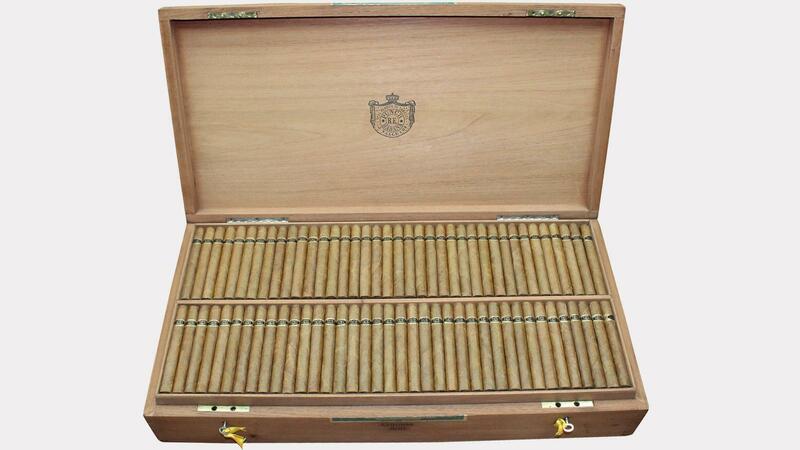 Only 1,966 humidors were made, each containing 20 Cohiba Majestuoso 1966 cigars. The humidors carried a minimum price of $4,000 when they first appeared on the market late last year. Yesterday, the auction sold the Majestuosos Humidor for more than double its retail price, at £8,550 or $11,246. 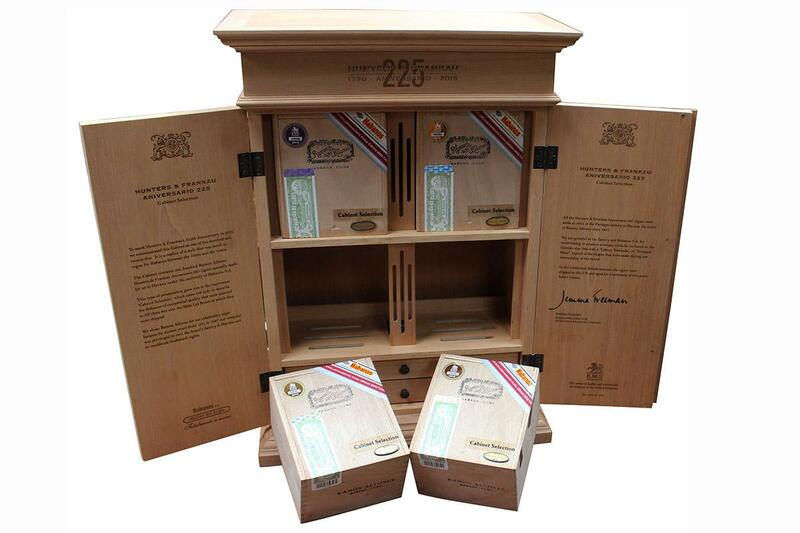 A limited-edition Ramon Allones humidor honoring the 225th Anniversary of Hunters & Frankau sold for £7,700 or $10,132. Other high-bidding lots included a 10-count box of Dunhill Estupendos from the 1980s (£8,000 or $10,522), a limited-edition Ramon Allones humidor honoring the 225th Anniversary of Hunters & Frankau (£7,700 or $10,132) and a box of 25 Cohiba Lanceros from the mid-1980s (similar to the cigars smoked in this video), which sold for £6,900 or $9,079—over $350 per cigar. C.Gars is currently accepting items for its next auction, which begins December 2.